Our society and the requirements and expectations consumers have, develop continuously. This trend is nowhere more evident than in the nutritional field. The eating habits of today’s generation differ dramatically from those in years past. There is currently a high demand for fresh foods such as fruit and vegetables all year round. In order to satisfy this demand, a completely new industry has developed. This means year round fruit and vegetable production under controlled conditions. Optimum lighting of plants with grow lights during all of their growth phases is essential to enable high-yield production all year round. 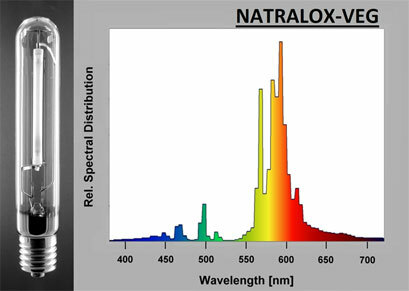 This can be achieved by using Narva Natrolox® and Nachroma® Vegetative lamps. Since 1994, NARVA G.L.E. has developed and produced various high-pressure discharge lamps at its Berlin, Germany location. 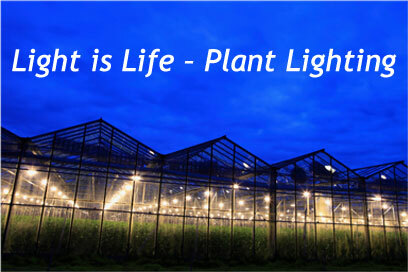 Their product portfolio includes a wide range of applications from professional lamps for industrial plants, tailor-made developments for plant cultivation, to highly specialized solutions for the medical and analytical fields. Modern, cost-saving and environmentally friendly manufacturing methods, energy-efficient; durable products and fair value cost are characteristics of the whole NARVA product range. Ultraviolet Resources is pleased to exclusively launch these first class plant growth products, developed and produced to German quality standards to the fast growing US marketplace. 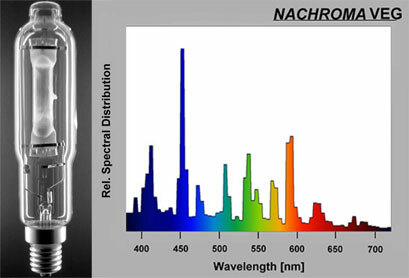 With its extraordinary light spectrum, NACHROMA® Vegetative ensures optimum plant growth and top yields. This lamp guarantees perfect lighting, especially matched to the needs of plant cultivation. NATRALOX® Vegetative enables fast plant growth in all development phases and first-class yields. The particularly high luminous efficacy due to the NARVA super arc tube technology ensures a large blue fraction in the emissions spectrum and an effective PAR output during the whole life of the lamp.